Explore classes in energy efficiency and renewable energy. Designed to prepare students to write a state certified master electricians exam. This class describes test-taking procedures and includes sample test writing. It is recommended that the student have completed Course 413-436 Electrical Code Comprehensive or be a state certified electrician. Covers the basics of bending conduit ranging from ninety degree bends and placing offsets, and from hand bending to machine bending. Emphasizes the reading and designing of magnetic motor control circuits using ladder diagrams. It includes a study of the different types of controlling devices such as relays, starters, and contactors. Pilot devices (manual and automatic switches) and their symbols are also included. Hands-on experience will be gained by constructing and testing some of the circuits studied and designed. Will also study the National Electrical Code and all the code requirements associated with motors and motor controls, covering conductor sizing, over current protective device sizing, tap rules, and wiring methods related to motor installations. This course will help electricians of all levels install motors and motor control circuits safely and compliant to the National Electrical Code. An exam preparation course, based on the 2017 NEC as amended by SPS 316. It prepares the learner to pass the WI Journeyman Electrician exam and provides a thorough examination of the National Electrical Code requirements, as well as WI state building, energy, occupancy, and electrical codes. The course is designed for upper level apprentices and other electrical trades workers preparing to take the WI Journeyman Electrician exam. Continues the examination of uses and applications of the state and national electrical code as they pertain to electrical installations. 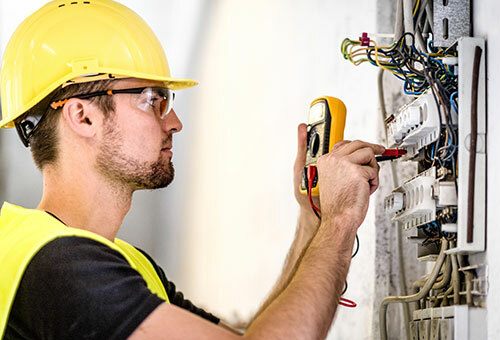 Learners will focus on the general requirements of electrical installations, conductor types and use, general wiring methods and techniques as they relate to residential, commercial and industrial applications. Continues the examination of uses and applications of state and national electrical code as they pertain to electrical installations. 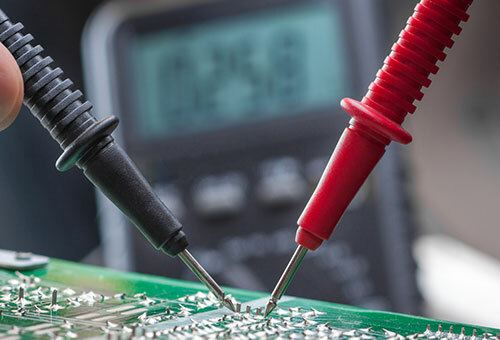 Learners will focus on the requirements of services, calculations, motors, transformers and special locations as they relate to residential, commercial and industrial applications. Examines the use and application of state and national electrical codes as they pertain to one- and two-family dwelling units. Students will focus on building code related to electrical installations, conductor types and uses, required outlet locations, required HFCI and GFCI outlets as they relate to residential installations. It is recommended that the student be active in the electrical trade. Continues the examination of uses and application of state and national electrical codes as they pertain to one and two family dwelling units. Students will focus on standard and optional load calculations, grounding, and service installations as they relate to residential installations. It is recommended the student be active in the electrical trade.